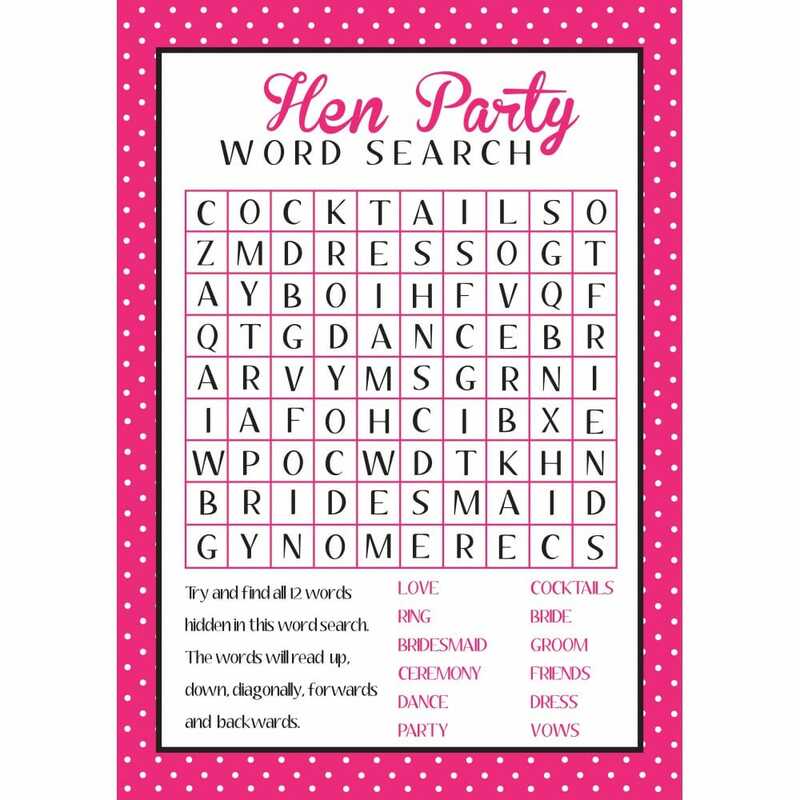 This game is a novel edition to all your other standard hen party games. A simple and nice table game or even an activity for the kids at the wedding.......or the adults!! Serve with drinks and appetizers whilst waiting for the party to get started and then give a gift for whoever finds all the words first.